EMBARKING on our quest one night in late November, inspiration wasn’t the objective at all. Our mission was enjoyment. My nephew from Tyrone had just turned 18. He’s my sister’s son and something of a heretic, for he’s a hurler in a county renowned for Gaelic football. But I enjoy the company of heretics, especially if they’re also hurlers. So off we ventured to mark his 18th birthday, leaving Andersonstown, circling Belfast, onto the Cregagh Road and into the Cregagh estate, where we parked. For those not familiar with the geography of Ireland’s second city, the Cregagh Road is in the heart of east Belfast. It’s currently part of Castlereagh Council, a borough which gives its name to a police station of some notoriety. Ladas Drive, another police station of dubious repute in previous years, is also close by. During the conflict, Catholics or nationalists who once lived in the Cregagh estate itself were hunted out. The district still struggles to eschew the influence of unionist paramilitary groups who were supposed to have been ‘stood down’. Yet the name of the area derives from the townland of An Chreagaigh, which dates back to medieval times when it was part of the territory held by a branch of the legendary O’Neill clan. 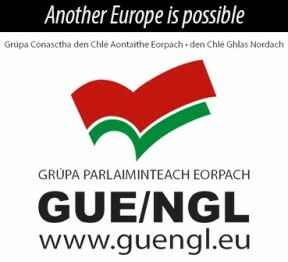 It is from the O’Neills that Ulster inherits its provincial emblem: the Red Hand. That said, none of us who alighted from the car had any illusions that the Red Hand visible on some of our Gaelic tops would be construed by local residents as an homage to the O’Neill clann. We were still about 800m from our destination. Between us was a series of darkened streets with dozens of people milling around under the lampposts, some of which were draped in loyalist flags or British Union Jacks. There was no time to debate the wisdom of the driver’s chosen parking spot. But to understand what goes through your mind at moments like this, you really have to have lived in the Six Counties – especially when you know that leaflets had been distributed in the Cregagh estate the previous night to encourage loyalist protesters out onto the streets. What happened next was an experience to confound cynics everywhere. Without hindrance, we reached the Ravenhill stadium, the home of Ulster rugby. A low-key police presence outside helped facilitate safe passage of spectators. We were greeted and assisted by stewards at the ground. We took our seats with more than 6,000 other supporters in the spectacular new rugby stadium which the Minister for Sport, Sinn Féin MLA Carál Ní Chuilin, helped to sponsor. Ravenhill is surely one of the most iconic examples of how the power-sharing Executive has delivered on some of its potential. Those Gaels around us who openly lamented the dormant, undeveloped state of Casement Park coveted the brightly-lit amphitheatre and lush green surface of the Ravenhill stadium and imagined how great Casement could be. It is testament to the generosity and farsightedness of the board of Ulster Rugby, especially Chief Executive Shane Logan, that Ravenhill was made available for this special charity event ‘Game for Anto’. 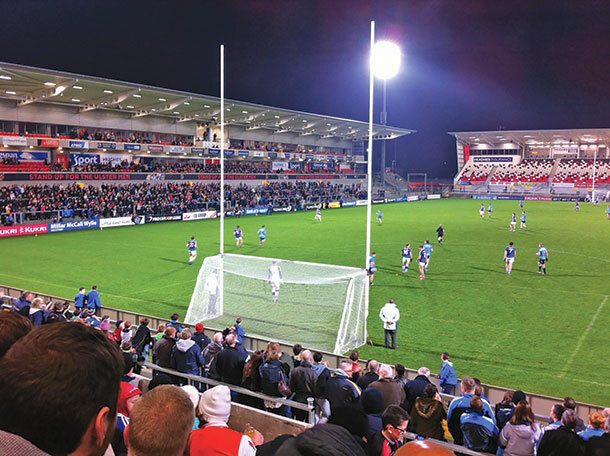 The proud home of Ulster rugby was specially reconditioned to host Gaelic games, first played on the same ground a century ago when local nuns practised camogie. Seeing Gaelic goalposts on the rugby pitch below us was a sight to behold. A challenge match commenced between an Ulster select and Dublin senior Gaelic football side. In the crowds, here and there, there were flags for Dublin, Donegal, Antrim and Ulster. At half-time, young Gaelic footballers and young rugby players entertained the fans at either end of the pitch before coming together in the centre. It was quietly profound that two different sporting codes, both of which cherish the Red Hand of Ulster, shared a field within sight of the O’Neills’ townland of An Chreagaigh. Behind this ambitious enterprise was Anto Finnegan, his wife and family, and a small organising committee. No one tells Anto’s story better than Anto himself. That’s something you’ll read in this column in the new year. For now, it’s enough to say that being diagnosed with Motor Neuron Disease has sparked a fightback by Anto Finnegan which is impassioned and purposeful. The event that Anto, his family and friends organised was the sporting spectacle of 2014. In doing so they, wittingly or otherwise, offered a glimpse of what the future could be for those from different sporting and cultural traditions in the province of Ulster and on the island of Ireland.